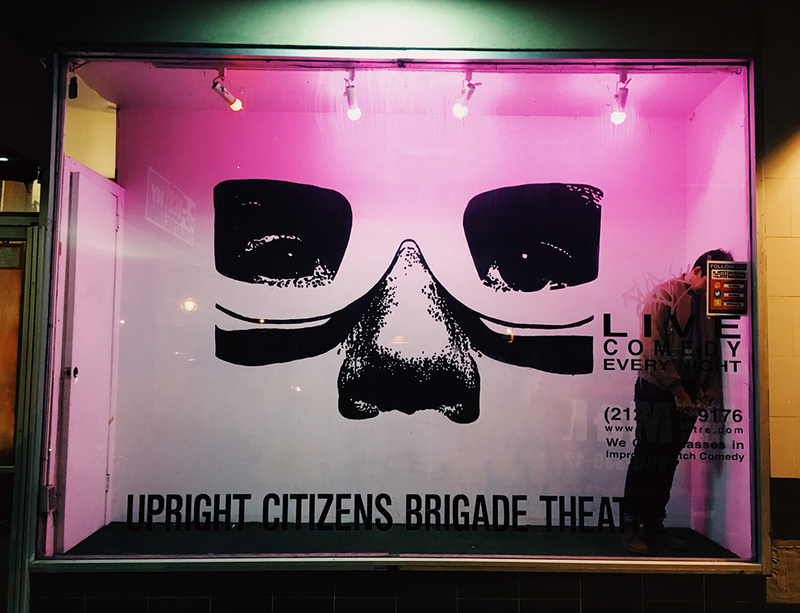 Why Is UCB Theatre Such a NYC Institution? Let This Comedian Tell You. The famed improv school has a long history of helping fuel major transformations. In my earlier work for this site, I’ve told you about my dreams (a cardinal sin) of becoming a park ranger and detailed a week in my life of writing jokes and rushing to stand-up gigs. In both pieces, I self-identified as a comedian, a label I don’t use lightly. Nor do I use it without a nod of respect to the Upright Citizens Brigade Theatre (UCB), the first place in New York where I ever wrote and performed comedy. A place that feels like home. And what a place to call home, this juggernaut of comedy that was once a humble sketch troupe. The UCB started very much underground and built a roster of comedians that could have its own Coachella poster. You can’t turn on a TV or streaming app without seeing a UCB alum: Chris Gethard, Rob Huebel, Kay Cannon, Natasha Rothwell, Kate McKinnon, Lennon Parham, D’Arcy Carden, Zach Woods, Sasheer Zamata, Ben Schwartz, Jack McBrayer, Ellie Kemper, Donald Glover, Bobby Moynihan, and a list of dozens more credit UCB with their success. So when reports of financial troubles and layoffs last month were followed by news of UCB shuttering its East Village location, (don’t worry, this location still seems safe), many in the New York comedy community felt unmoored. While I’m sure civilians barely clocked the headlines in their news feeds, this was all the comedy world could talk about for weeks. This great institution known for churning out talent was showing its cracks. The comic’s standard question, “Yes, and?” seemed to take a back seat to the more pressing, “What’s next?” (The immediate “next thing” is that UCB secured a programming partnership with SubCulture.) This uncertainty has prompted some to wonder: What, exactly, makes UCB Theatre so special? A lot, actually. Especially to me. Studying at UCB Theatre was at the top of my dreams-to-fulfill list for eight years before I got up the gall (and $400) to sign up for my first sketch-writing course in July 2014. I sat on that desire, that need to be funny and work among funny people, until I was in college. Facing the deadline to declare a major at Rutgers University, I met with the chair of the journalism department and he asked me questions that set me off on a collision course with UCB and the full-time (well, mostly full-time) funny person I would eventually become. My whole life, I’ve maintained that I’m a Fey looking for my Poehler opposite. “If you could do absolutely anything in the entire world, what would make you happy? What have you seen and thought: I want to do that?” he asked. So I got a B.A. in journalism (and another one in Italian, but that’s per un’altra volta) and did nothing about the second part until years after I graduated. But once I was in, man, I was in. I blew through the UCB sketch-writing curriculum in a year: from learning the absolute basics of writing a sketch (“Give it a name that isn’t cute”) to putting together a packet (four to five of your best sketches that encapsulate you as a writer) to producing a class show. I even took a few improv classes because of how many smart and funny people I could be around. In the first few weeks of classes, I was seeing a show once or twice a week, taking the bus from my commercial real-estate job in Secaucus, New Jersey, to soak it all in. The UCB Theatre in Chelsea (RIP) was a home-away-from-home under a Gristedes where I’d laugh harder than I thought was possible. By the fall, I was seeing two to three shows a night, hanging out with friends I’d made in those classes, and then begrudgingly taking the 2 a.m. bus back to my office to get in my car to then drive 35 minutes to my parents’ house, sleep for four hours, and start the cycle all over again. I was exhausted but thrilled. I was part of a community. In what seemed like a blink, I was writing and producing sketches for monthly shows with some of the best writers and performers in the city. The thrill continued when I was placed on a house sketch team (called Maude) almost exactly a year after I had first started taking classes. It felt like graduating from Princeton. (I can only assume.) In what seemed like a blink, I was writing and producing sketches for monthly shows with some of the best writers and performers in the city. Together, we created many of my favorite sketches, including “Handshake or Hug? A Socially Awkward Game Show,” “Ikea Fighting Department,” “A Sketch That Passes the Bechdel Test,” and “What Are We? Court.” These were the result of hours and (late) hours spent with the same group of people, the same ideas, trying to make each (and each other) better. UCB is what colored my otherwise black and white world of commercial real estate. I found myself writing jokes on the pads where I was supposed to be taking work messages. It would be nuts to say that I moved from New Jersey to Harlem because I was put on a UCB house team, but that’s essentially what happened. I was spending all of my nonworking hours in the city, in the theater, in bars, in friends’ and girlfriends’ homes. It just felt like every other aspect of my relationship with UCB: inevitable. UCB became my New York, and New York, in turn, fueled my work with UCB. Cut to four years later: I have stepped down from my Maude team, but cowritten another show running at the theater, and I’ve begun training as a teacher for the school. I still live in the same apartment, but now I share it with my girlfriend who, of course, I met through UCB Theatre. I even perform. My life has changed drastically because of this specific comedy community. I couldn’t imagine any of this as a college student, but this was the answer to my professor’s question about what would make me happy. 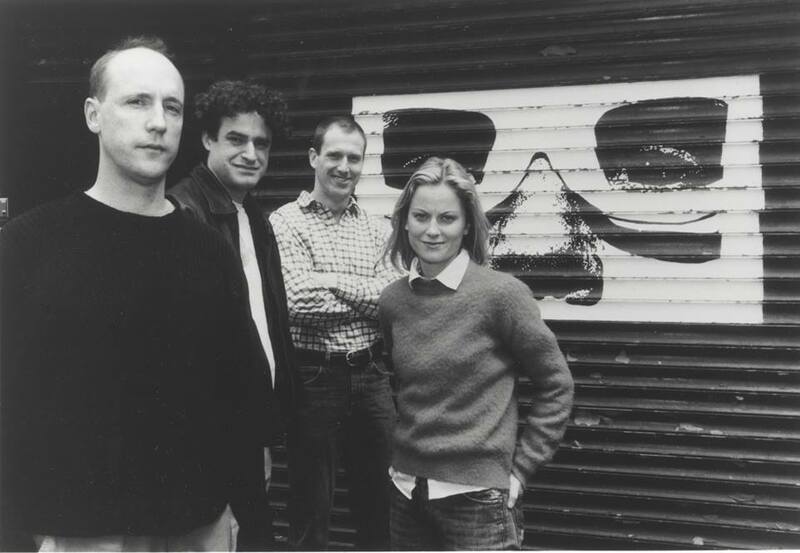 Upright Citizens Brigade became my New York, and New York, in turn, fueled my work with UCB. I’m far from the first person whose life was transformed by UCB and I won’t be the last. I’m just one story of the thousands that can be told about the Little Comedy Theater That Could—and Usually Did. It started in a basement and has grown to be an essential part of New York’s cultural life, launched hundreds of careers, and made millions of people laugh. In comedy—and life—timing is everything. My meet-cute with UCB happened exactly when I needed it to in order to not fulfill my destiny of being a directionless postgrad. I found an outlet, a partner, and a community. And the best I can do to repay that debt is to write this love letter to the theater that changed my life. 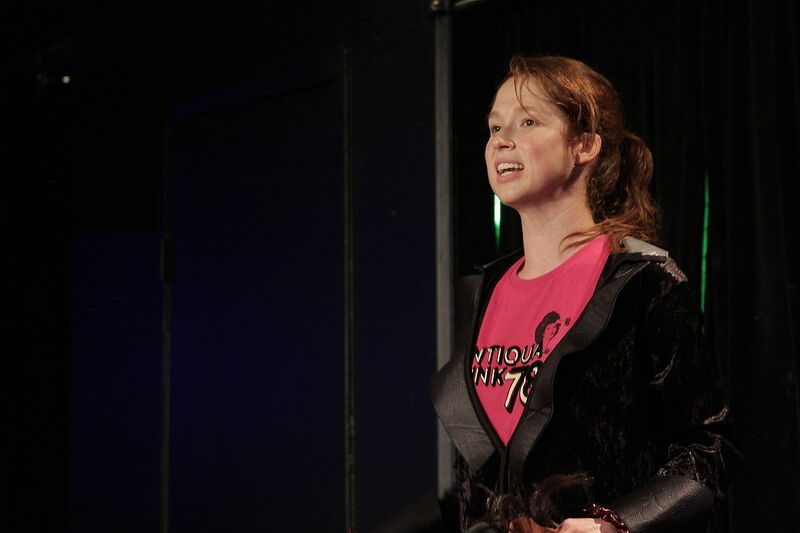 Nikki Palumbo is a writer and comedian in New York. She tweets @nikkipalll. Download our app to find the best comedy clubs all over the city.